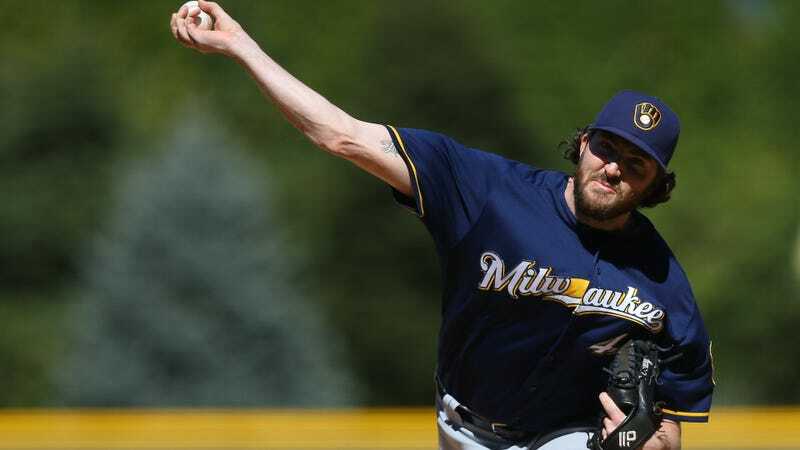 Brewers Reliever Sent To Triple-A: I'd Rather Have "A 9-To-5 Job Where I Get Treated Like A Human"
After six years in the Brewers’ minor-league system, Tyler Cravy made his debut in the big leagues in 2015. It didn’t go especially well, and neither did his return last year. But the 27-year-old clearly thought he was sticking around after a decently strong spring training, with a 2.03 ERA over 11 outings, and he was frustrated to hear that he wasn’t. He made it clear that he was most frustrated with being cut from the big-league roster days before the season opener with no warning—“It would just be nice to have the honesty straight up front instead of, ‘Hey, you’re competing for a job,’ then literally out-compete everyone and be told, ‘Sorry, we have other plans.’ It says a lot about the integrity, or lack thereof, of the guys running the show, but what are you going to do? All you can do is put up numbers and sometimes that’s still not enough.... I’m just not sure I want to play for guys who treat you like this.” But the way he chose to word his comment makes it relevant to note that, even with the salary bump that comes with returning to the minors after a stint in the bigs, there’s plenty about minor-league life that doesn’t mesh with the idea of being treated by your organization like a human being. Rob Manfred On Not Paying Minor Leaguers A Living Wage: "It&apos;s Not Really About The Money"
That said, there’s also some bad news out there about how a 9-to-5 job might treat you, Tyler.